A note to readers of jonathanrosenbaum.com: from now on please go to jonathanrosenbaum.net. Because we were faced this year with an embarrassment of riches, we adopted a few new procedures. Apart from creating three new categories for awards, we more generally selected eleven separate releases that we especially valued and only afterwards selected particular categories for each of our choices. We also decided to forego our usual procedure of including individual favourites because doing so would have inflated our choices to 17 instead of 11, which is already two more than we selected last year. Our first new category is the best film or program at this year’s edition of Il Cinema Ritrovato that we would most like to see released on DVD or Blu-ray. Our selection in this case is the French TV series Bonjour Mr. Lewis (1982), by Robert Benayoun. 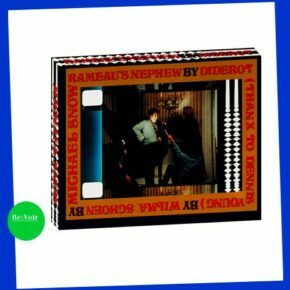 BEST SPECIAL FEATURES ON DVD 2012/2013: Rameau’s Nephew by Diderot (Thanx to Dennis Young) by Wilma Schoen (1974) by Michael Snow (Re:Voir Video). Michael Snow’s four-and-a-half-hour opus plays with sound and image to create a cinematic Coney Island of the Mind, or, as one writer put it, something akin to Jacques Tati scripted by Ludwig Wittgenstein. 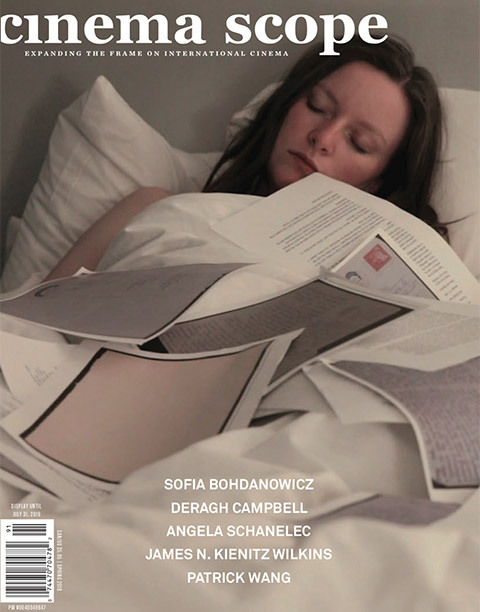 The film comes in a special box with a 184-page bilingual book of essays prefaced by Snow analyzing the film’s 25 sequences with the debut publication of original preparatory notes and script. 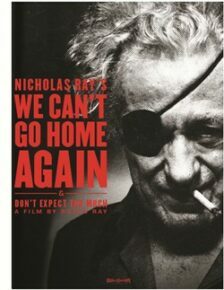 BEST SPECIAL FEATURES ON BLU-RAY 2012/2013: We Can’t Go Home Again (1973) by Nicholas Ray (Oscilloscope Pictures). Among the rich array of bonus features are Susan Ray’s documentary Don’t Expect Too Much (2011), new extended interviews with Jim Jarmusch and Bernard Eisenschitz, Ray’s The Janitor (1974), rushes from and interviews about Ray’s Marco (1977), and a fascinating 1977 profile of Ray made for CBS’s Camera Three. 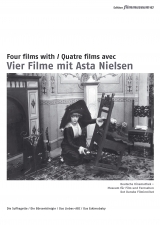 Vier filme mit Asta Nielsen (Edition Filmmuseum/Deutsche Kinemathek). A double-DVD set presents four German films of the 1910s (Die Suffragette, Urban Gad, 1913; Das Liebes, Magnus Stifter, 1916; Das Eskimobaby, Heinz Schall, 1916; Die Börsenkönigin, Edmund Edel, 1916) featuring Asta Nielsen. 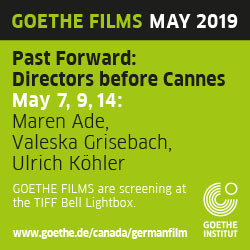 The versatile and intense screen interpretations of one of the great European silent movie stars come to light in all of their shades, from proto-feminist comedies to parts in drag, all the way up to current themes in the financial world. 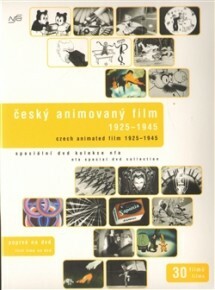 Česky Animovamy Film I 1920—1945 (Národni Filmový Archiv). The first installment of an ambitious series of DVDs covering the evolution of animation art in Czechoslovakia from 1920 onwards, in all its forms: experimental, fairy tales, surrealism. Together with the DVD proposing a selection of 30 shorts of the period 1920-1945, the Národni Filmový Archiv of Prague has also published a filmographic catalogue, in Czech and English, covering the 153 animated shorts produced between 1920 and 1945, including three DVDs with 76 shorts. 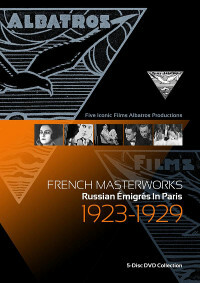 BEST SILENT COLLECTION: French Masterworks: Russian Emigrés in Paris 1923-1928 (Flicker Alley). In exile after the 1917 Revolution, creative Russian talent formed the remarkable Film Albatros studio, revitalizing post-WWI French cinema. Five choice films (directed by Mosjoukine, Volkoff, L’Herbier, and Feyder) and a 28-page illustrated booklet with essay and notes on each film. 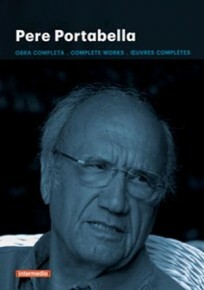 BEST DVD BOX SET: Pere Portabella. Obra completa (Frodimag-Intermedio). The long-awaited complete works, 22 films in all, of a major and singular Catalan filmmaker from Barcelona, born in 1927, the Spanish producer of Viridiana (1961), whose majestic oeuvre (1967-2011) confounds the usual separations made between fiction and non-fiction, narrative and experiment, politics and meditation, and cinema and the other arts, in such diverse masterpieces as Cuadecuc, vampir (1971), General Report (1977), and The Silence Before Bach (2007). Following a purist strategy, this set of seven DVDs includes no chapter breaks and no supplements, allowing the works to speak for themselves. 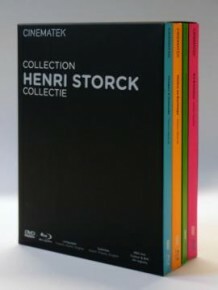 BEST BLU-RAY BOX SET: Henri Storck Collection (Cinematek). A wide sélection raisonnée by a master of documentary in four DVDs covering four parallel sides of his researches—“Images d’Ostende,” elegies devoted to the beauties of Storck’s hometown and beaches; his pamphlets against capitalism, “Misère au Borinage”; his Virgilian eclogue, “Symphonies Paysanne”; and his films devoted to Paul Delvaux, Rubens, and Herman Teirlinck—all superbly restored. BEST DVD NOT ON THE LIST OF FINALISTS 2012/2013: Out 1: Noli me tangere / Out 1: Spectre by Jacques Rivette (Absolut MEDIEN/ARTE). Arguably Rivette’s greatest achievement and boldest experiment is not a single film but two radically different works, both of them about the ’60s (utopian dreams and desperate retreats, collective work and solitude) that are drawn from the same material—a twelve-and-a-half-hour comic serial, Noli me tangere (1971), and an anguished four-and-a-half-hour puzzle film, Spectre (1973). This five-disc set finally makes both of these monumental epics available for the first time, with English as well as German subtitles for the serial and German subtitles for Spectre, featuring many of the greatest actors in French cinema, including Juliet Berto, Bernadette Lafont, Jean-Pierre Léaud, Michael Lonsdale, and Bulle Ogier, all of them creating their own characters and improvising their own dialogue. A lengthy interview with Rivette is also included in the set. BEST PUBLISHING STRATEGY BY A DVD LABEL 2012/2013: Awarded to BFI Video, for publishing an incredibly wide range of materials that enriches our film heritage, including documentary shorts, sponsored films, experimental works, and amateur films, exemplified by This Working Life: Steel—A Century of Steelmaking on Film (1901-1987), Roll Out the Barrel: The British Pub on Film (1944-1982), and The Lacey Rituals: Films by Bruce Lacey (1951-1967). We also want to mention the BFI Flipside series, which introduces us to a little-known “parallel history” of British cinema including such releases as Andy Milligan’s Nightbirds (1970). 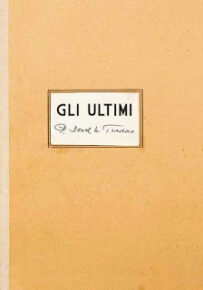 BEST DVD 2012/2013: Gli Ultimi (1963) by Vito Pandolfi (La Cineteca del Friuli). This DVD revives an eccentric and forgotten movie almost impossible to see for many years, thanks to a meticulous restoration of both versions of the movie: the complete one, made by the authors Vito Pandolfi and his father Davide Maria Turoldo, and the one six minutes shorter made for public release. As bonus features, there are auditions that have never been seen before, unreleased interviews, rare documents on film, and a booklet with various interviews and previously unpublished essays. BEST BLU-RAY 2012/2013: Lonesome (1928) by Paul Fejos (Criterion). This definitive edition of an exquisite and masterful city symphony and love story from the end of the silent era and the beginning of talkies comes with an excellent audio commentary by Richard Koszarski and, among many other valuable extras, beautiful editions of two features directed by Fejos the following year, The Last Performance and a reconstructed sound version of Broadway. 2. This has been an exceptional year for formerly inaccessible work of the second half of the 20th century finally becoming available, as evidenced especially by the box sets of Pere Portabella (celebrated in my previous column, and cited above) and André Delvaux (celebrated on my website at www.jonathanrosenbaum.com. ?p=33242), and now, most important and most impressive of all, both versions of Out 1, Jacques Rivette’s greatest work, on a five-disc set available on German Amazon for 45,99 Euros. First of all, the transfer of the 750-minute Out 1: Noli me tangere is glorious, particularly for the gorgeous colours, fully justifying Rivette’s remarks to the late John Hughes in 1974 (available at both www.jacques-rivette.com and www.rouge.com.au/4/hughes.html), when it had been possible for Hughes to have seen only the 255-minute Out 1: Spectre and Céline et Julie. JH: I’m very interested in the kind of colour impressionism that I find in your new films. It reminds me of Duras and of Jean-Marie Straub’s Othon (1970), and I think this impressionism involves an openness to colour and light that is original and astonishing. The play between blues and browns in Spectre runs the gamut from total accident to total control. JR: Both Spectre and Céline and Julie were shot in 16mm. We used the Éclair camera and a Nagra for the sound. At least part of the impressionism you see in Duras and Straub (who, by the way, was totally hypnotized by a screening of the thirteen-hour Out) comes from their low-budget techniques. I aim at something a little different in my recent films, you might almost say that I am trying to bring back the old MGM Technicolor! I even think that the colours of Out would please a Natalie Kalmus [Hollywood colour consultant 1933-49]—although the print of Spectre at the Festival was too dark, it favoured those blues and browns too much. I hasten to add that Rivette’s demurrals about the lab work on Spectre apply equally to the version included in the box set. This is unfortunate from many points of view, but at least it has the advantage of emphasizing even further the degree to which Spectre is by no means a “digest” of Noli me tangere (a fact that Rivette has also stressed) but a radically different film, even though it’s drawn from the same footage: Rivette spent the better part of a year, with a different editor, putting it together, and clearly part of the boon of having the two films available together is the fascination of seeing all the major differences between them, including a good many of the same shots having strikingly different meanings, functions, and resonances (thematically, stylistically, musically, structurally, and in terms of storytelling) in the separate versions. The saga of what has kept these two versions isolated from one another for almost 40 years is a key part of what has kept the full achievement of Out 1—which cries out to be considered as a single two-part work—from receiving its proper due. The first version, conceived as an eight-part television serial (until it was rejected by French television), received only a handful of screenings in its original 750-minute form, most famously as a work print at Le Havre on September 9 and 10, 1971, and then finally as a “finished” work at the Rotterdam Film Festival in February 1989 (which is where I first saw it). By the time it was shown on German television (WDR) in April 1991, Rivette had trimmed it by ten minutes to its current length, the principal cut being a lengthy plan-séquence featuring Jean-Pierre Léaud while his character is undergoing a kind of nervous breakdown. (I described this sequence in some detail in an essay, “On the Nonreception of Two French Serials,” included in my collection Movies as Politics; it is also available at www.jonathanrosenbaum.com/?p=19910.) Spectre has generally had a quite separate history: although it was edited originally to convert the material into a theatrically releasable form (which is how it was shown at first, in Paris at Studio Gît-le-coeur for about a week in early 1974, and later the same year at various festivals, including New York and London), it is paradoxically a much more difficult and intractable work, anguished where Noli me tangere is relatively light and comic; it wound up getting paired with the longer film, to the best of my knowledge, only at a few scattered Rivette retrospectives. On the new DVD, Noli me tangere is outfitted with optional English (as well as German) subtitles; Spectre has only optional German subtitles, but if your French and German are both imperfect, it could serve as an excellent way of improving your French if you see the longer film first (as you probably should anyway), because all the dialogue is translated there. The extras in this release consist of one excellent, extended interview with Rivette, apparently conducted in 1991 and spread out over seven separate segments (which are labelled with the various subjects discussed), and a 20-minute documentary by Wilfried Reichart started in 1972 and completed in 2012, featuring interviews with Rivette, Eric Rohmer (speaking in German), Michel Delahaye, and Jacques Doniol-Valcroze, and also including many production stills of Rivette working on the film. The first of these has only optional German subtitles (it would be great if someone could eventually post an English translation on the internet), the second only an optional German voiceover (apart from the Rohmer interview). 3. Here’s another hypothesis, this one about Godard: Not counting his Dziga Vertov period, his most intractable films—and perhaps also his least beautiful—tend to be those made in collaboration with Anne-Marie Miéville. This probably helps to explain why I welcome the release of Godard’s 1987 Keep Your Right Up! as an Olive Blu-ray (especially after reading so much about it in Daniel Morgan’s Late Godard and the Possibilities of Cinema), but find his 1978 Comment ça va, co-written with Miéville, same label and same format, just as unwatchable as ever. (Although one could quite understandably pass up both for the sake of Criterion’s lovely recent Blu-ray edition of Band of Outsiders ). 4. At long last, a windfall from Masters of Cinema comprising all the releases I’d previously missed—so many, in fact, that I’ll have to deal with many of these in future columns. One is a Blu-ray that I would nominate as possibly the greatest of all their releases to date: a single-disc edition of Carl Theodor Dreyer’s The Passion of Joan of Arc (1928) with a 100-page booklet. In fact, the disc gives us at least three separate versions of Dreyer’s masterpiece (half a dozen versions if one also factors in the three versions offered without any musical accompaniments). In roughly descending order of preference, the first is the version identified by Dreyer scholar Casper Tybjerg as the “A” negative: in Danish, Jeanne d’Arc’s Lidelse Og Død (Joan of Arc’s Suffering and Death), Dreyer’s preferred version (which premiered in Copenhagen in April 1928 and subsequently was lost for over half a century until a print was found in a hospital attic in Oslo), shown at 20 frames per second and accompanied on piano by Mie Yanashita. The second is the “A” negative shown at 24 frames per second and with a score by the American avant-garde American composer Loren Connors, and the third, in French (La Passion de Jeanne d’Arc) is the 1952 Lo Duca version drawn from the “B” negative (composed of alternate takes), with an orchestral score featuring music by Bach, Scarlatti, and Albinoni (the “Adagio in G Minor,” used many years later in Orson Welles’ 1962 The Trial), as well as some voiceover narration. The 100-page booklet, no less definitive, includes a substantial section from Jean and Dale D. Drum’s excellent book on Dreyer, critical texts by H.D., Luis Buñuel, André Bazin, and Chris Marker, two texts by Dreyer, an interview with Antonin Artaud, a text by Tybjerg detailing many of the differences between the separate versions, followed by five pages of frame enlargements illustrating some of the most salient differences between the Oslo print and the Lo Duca version, and ten pages of further illustrations from the film’s production archives. (It’s too bad that, along with the other recent MoC releases, this landmark release wasn’t submitted to this year’s annual DVD Awards at Il Cinema Ritrovato; see above). 6. For all my regrets about the recent publication of My Lunches with Orson and the many kinds of ugliness and meanness it exposes (in Henry Jaglom, Welles, and editor Peter Biskind alike), I have to admit that it can be justified by a few nuggets (all of them from Welles)—unlike the even creepier and more carnivorous Ava Gardner: The Secret Conversations, whose “co-author”/editor Peter Evans shows a total lack of interest in Gardner’s (or anyone else’s) films. I was especially intrigued to hear what Welles had to say about Chaplin and Stroheim—and, in the case of the latter, his casual revelation that (a) the “police archive” in Touch of Evil (1958) was actually a real archive at Universal, where Welles was able to look up the budgets of Stroheim’s early features while his camera crew was setting up lights, and (b) “They [the budgets] weren’t that high. The idea that he [Stroheim] was so extravagant was nonsense.” Given the mythical profiles of both Stroheim and Welles, I’m sure that many industry apologists will be eager to dispute this, but one of the benefits of Kino Video’s Blu-ray of Stroheim’s 1922 Foolish Wives (which recycles all the priceless extras on the DVD) is an audio clip from the film’s publicist, Paul Kohner, who avows that, contrary to his own promotional campaign, the film cost substantially less than a million dollars. 7. Even on a Criterion Blu-ray, William Cameron Menzies’ Things to Come (1936) proves to be more of a wheezing soporific to me than it used to be. But in some ways the extras prove to be more interesting than the film itself, especially when it comes to explaining how and why the film is so boring. (Basically, it’s the arrogant, untrammeled will of H.G. Wells as auteur that’s responsible.) I’m sure part of the problem is that I’ve never fully warmed to Wells as an SF writer either; as eccentric as this might seem, I persist in finding Olaf Stapledon, his visionary contemporary (and sometime correspondent), far superior. 8. Another instructive extra: a video interview with Simon Callow on the Masters of Cinema dual-format edition of Ruggles of Red Gap (1945), which begins with Callow’s confession that he and other English people have never found Charles Laughton’s butler in this Leo McCarey comedy film believable—they view him as a figure who seems tailored strictly to American sensibilities. 9. Criterion’s Blu-ray of Mizoguchi Kenji’s The Life of Oharu (1952) is lovely, and I especially value the historical research of Dudley Andrew, both in an “illustrated audio essay” and in his separate audio commentary. But I feel at cultural cross-purposes with Koko Kajiyama’s 30-minute 2009 The Travels of Kinuyo Tanaka, a Japanese film documenting an extensive good-will tour taken by the future star of Oharu to Hawaii and the mainland US in 1949, with both colour and black-and-white footage. In the first minute of the film, which begins with Tanaka’s return to Japan, we learn that her Western accoutrements and gestures at that time led to her being ferociously scorned in the Japanese press (this was still, one should recall, during the US occupation, and I suppose a high-profile film actress made an easy scapegoat for suppressed anti-American resentment), and I was hoping to learn more details about this. But this is a Japanese documentary, not an American one—and one with an apparent agenda to restore part of Tanaka’s tarnished reputation, not to delve into the causes and circumstances of the tarnishing—so practically all that we get for the next 30 minutes, apart from some fascinating footage, is a lot of unctuous press-release stuff about the tour she was taking. 10. Among the recent Blu-rays from Olive Films, a very mixed bag as usual, are a delightfully silly Kurt Weill musical comedy with Robert Walker and Ava Gardner in her prime goddess mode (One Touch of Venus, 1948—one of the countless films that go unmentioned and/or undiscussed in Ava Gardner: The Secret Conversations); one mangled and disowned Sam Fuller project starring Burt Reynolds (Shark!, 1969), set in the Middle East but filmed in Mexico, which has plenty of Fuller’s fingerprints but very little of his dexterity or editing (not a patch on his delicious if threadbare 1952 Park Row, financed out of his own pocket, released last year in a definitive Masters of Cinema edition with a wonderful booklet); the ruins of a truncated and censored Fritz Lang film (Cloak and Dagger, 1946); Volume 1 of a delightful Betty Boop collection, with a dozen gems made between 1932 and 1937 (including a few with patches of live action); a vaguely watchable adaptation of Terry Southern’s overrated novel The Magic Christian, reeking of 1969, about a zillionaire (Peter Sellers) glibly staging an endless series of humiliating pranks for the benefit of his adopted son (Ringo Starr), supposedly in order to scandalize the bourgeoisie (or capitalism, or something like that), that takes the original through a bit of a wringer by changing all the people and settings from American to British; Marlon Brando’s irritating debut in an archetypal blending of the worst tendencies of the Foreman-Kramer-Zinnemann crowd (The Men, 1950); and a couple of better-than-average noirs (The File on Thelma Jordan, 1949; The Enforcer, 1951). 11. During all the recent activities related to Allan Dwan in Bologna, New York, and on the internet, three less than fully visible resources are worth noting: a 66-minute version of the delightful 1924 comedy Manhandled in a blotchy but acceptable transfer (included along with Cecil B. De Mille’s 1920 Why Change Your Wife?) on Volume One of The Actors: Rare Films of Gloria Swanson, available from Amazon; Coffret Allan Dwan: Une légende d’Hollywood, a bountiful five-disc set from Carlotta in France including five mid-1950s features and many juicy extras, that was originally covered in this column and is, alas, no longer in print; and Donald Phelps’ essay “The Runners,” the best Dwan criticism I know, not available online but recently reprinted in Philip Lopate’s American Movie Critics (Library of America). 12. I’m still trying to make up my mind about the “director’s definitive edition” of Peter Bogdanovich’s 1975 musical At Long Last Love on a Fox Blu-ray, most of it drawn from a recently recovered cut that Bogdanovich discovered and approved. I don’t find it as offensive as What’s Up, Doc?, his blockbuster slapstick comedy hit of three years earlier, where so many of the pratfalls, collisions, and smash-ups seemed to be about fatuous, narcissistic yuppies gratuitously humiliating servants and carpenters, but this isn’t to say that fatuous, narcissistic yuppies aren’t also very much in evidence in this film. I’m also far too fond of Lillian Roth and Lupino Lane in Lubitsch’s 1929 The Love Parade, one of the obvious models for At Long Last Love, to fully accept Eileen Brennan and John Hillerman as suitable or adequate replacements. But the problems are ultimately existential: Lubitsch’s film was offered as a fantasy for audiences suffering from the onset of the Depression (it came out the month after the Crash), but what Bogdanovich is saying to or for 1975 audiences is far less clear. Offering a veritable catalogue of (mainly) forgotten Cole Porter songs obviously provides one kind of service, and the film clearly qualifies as some sort of personal statement, but how the writer-director is actually engaging socially with his contemporaries—which, after all, is a major part of what Lubitsch was doing—remains pretty obscure to me. 13. I experience uncertainties of a very different kind in my first encounter with Mania Akbari’s films (apart from her memorable lead acting role in Kiarostami’s Ten ). Her 2011 feature One. Two. One, whose ban in Iran led to her exile and her recent move to the UK (recently released on a PAL DVD from Second Run), is comprised of a series of conversations between two or more characters, always filmed frontally and in long takes (with periodic pans in many cases between the speakers). Seemingly improvised but reportedly scripted and choreographed in detail, it has something to do with—or, let us say, is composed around—a woman named Ava whose face has been or was disfigured by acid thrown at her by her husband or lover. This isn’t saying very much, and I’m not even sure I have these minimal narrative details right, but encountering work that’s as genuinely original, provocative, and challenging as this tends to make me both speechless and curious. I have to see this one again, as well as more of Akbari’s work. 14. Once again, I feel like a sap for having ordered anything from TCM’s website—in this case, their Frank Capra: The Early Collection (five films and discs, almost half of which fall out when you open the package). Apart from their determination to put all their basic information on the box (year, running time, main credits) in such tiny print that they seem to have learned their trade from designing the last shots in Hollywood trailers, I can’t even access the extras on Rain or Shine (1930), so what Michel Gondry has to say about this film remains a total mystery. Yet I still have to confess that the exquisite The Bitter Tea of General Yen (1933), the last disc in this set, makes me feel like less of a sap. I’m not a huge Capra fan, even after acknowledging that he made a few good films in the ’30s, but I would maintain that this is the only great one—and even though it’s available on DVD from a few other sources (all of them on PAL, which I haven’t been able to check and compare), Joseph Walker’s cinematography looks so luscious here that I wouldn’t be surprised to learn that this is the best version around. 15. Maybe it’s a mixed blessing, but Walter Salles’ 2012 film version of On the Road deserves more recognition and serious analysis than it received from reviewers: not only for its sense of period and its landscapes, but above all as a polemical feminist rewrite of the Kerouac novel—partly prompted, I suspect, by Joyce Johnson’s memoir Minor Characters, not to mention an understandable hesitation about delivering the novel’s misogyny intact without any demurrals or caveats. If you haven’t yet seen the film, IFC’s Blu-ray is worth a look for precisely that reason, even if one has to put up with ten minutes of hokey trailers before one can even arrive at a menu. 16. Three other recent DVD releases, all of which are far too important to go unmentioned, even if I don’t have enough space or time to review them properly: a lovely Cinema Guild edition of Raúl Ruiz’s quintessentially Ruizian final feature, Night Across the Street (2012), complete with his preceding, 54-minute Ballet aquatique and thoughtful critical essays by James Quandt (in print) and Kevin B. Lee (on video); Re:Voir’s Jonas Mekas box set, with six separate discs (each with a separate bilingual booklet in French and English) including Short Film Works (1949-2002), The Brig (my least favourite Mekas film, 1964), Walden (1969), Reminiscences of a Journey to Lithuania (my favourite Mekas film, 1972), Lost Lost Lost (1976), and As I Was Moving Ahead Occasionally I Saw Brief Glimpses of Beauty (2000); and the latest National Film Preservation Foundation chest of emeralds, the single-disc (but jam-packed), region-free American Treasures from the New Zealand Film Archive, including priceless early work from Ford, Hitchcock, and Mabel Normand, Lyman H. Howe’s Famous Ride on a Runaway Train (awesome, 1921), and much more, including a 50-page booklet.